Egad! 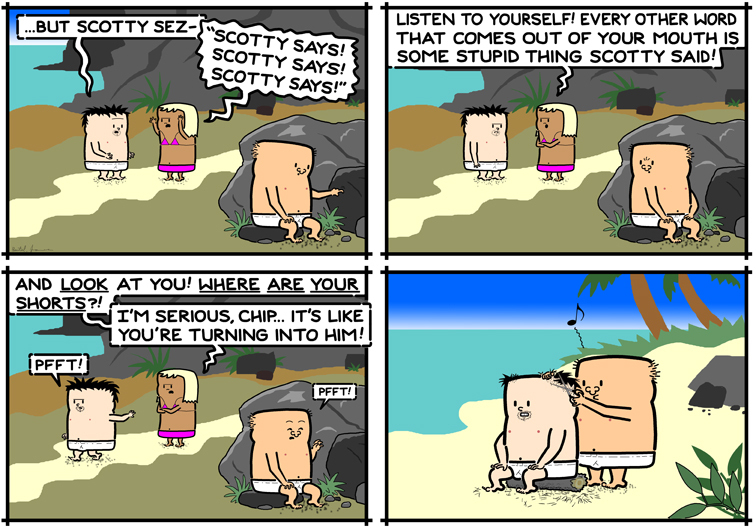 Scotty reproduces by cloning! The question is, how long before Scotty 2 “forgets” how to harvest bananas?